The Former Government Executives Council provides insight and innovative ideas to improve government based on their past and extensive experience as senior officials at the Federal, State, and local levels. They provide thought leadership that draws on lessons learned and effective practice developed during their careers in government. Members of the FEGC are available as expert resources, speakers, or senior advisors. Please contact any one of our team to explore how the FEGC can help with improving effectiveness and efficiency across the public sector. 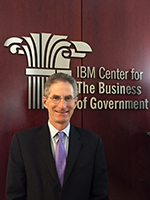 Dan Chenok is Executive Director of the IBM Center for The Business of Government. He oversees all of the Center's activities in connecting research to practice to benefit government, and has a special focus on technology, cybersecurity, regulation, budget, and acquisition issues, and on Presidential transitions. Mr. Chenok also generally advises public sector leaders on a wide range of management issues. Before joining IBM, Mr. Chenok was a career Government executive and served as the Branch Chief for Information Policy and Technology with the Office of Management and Budget, where he led a staff with oversight of federal information and IT policy, including electronic government, computer security, privacy and IT budgeting. Prior to that, he served as Assistant Branch Chief and Desk Officer for Education, Labor, HHS, and related agencies in OMB's Office of Information and Regulatory Affairs. Mr. Chenok began his government service as an analyst with the Congressional Office of Technology Assessment, and left government service at the end of 2003. 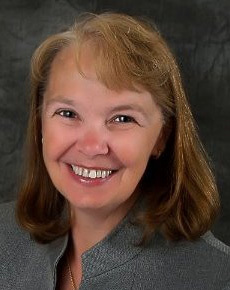 Brenda Decker is a Director with the IBM Global Government Industry. In this position she engages with senior government officials as they explore strategies to enhance program delivery, drive efficiencies in operations, and design governance models and organizations focused on results. Prior to joining IBM, Brenda was the Chief Information Officer for the State of Nebraska, a Governor’s Cabinet position she held for 10+ years. In that role, Brenda managed a team of IT professionals and engineers to create systems and processes that optimized the use of current technical resources to meet the business needs of the State, as well as implementing new technologies to attain the State’s strategic goals. This position was the culmination of 30+ year award winning state government career. Read her blog on outsourcing. Areas of expertise: My expertise in State Government Operations, State Government Purchasing, Legislation, and I have extensive state government contacts in the United States. 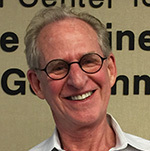 John M. Kamensky is a Senior Fellow with the IBM Center for The Business of Government and an Associate Partner with IBM's Global Business Services. Prior to joining the IBM Center, he served for eight years as deputy director of Vice President Gore's National Partnership for Reinventing Government, and senior advisor to the Deputy Director for Management at the Office of Management and Budget. Before that, he worked at the Government Accountability Office where he played a key role in the development and passage of the Government Performance and Results Act. Areas of Expertise: Strategic planning, foresight, organizational performance measurement and management, government reform and transformation, collaboration, and citizen engagement. Affiliations: National Academy of Public Administration, Fellow and Chair of Standing Panel on Executive Organization and Management, American Society for Public Administration, Government Performance Coalition, Member, Center for Accountability and Performance, Board Member, Public Administration Review, Board Member, National Science Foundation, Business Operations Advisory Committee, Public Member, Administrative Conference of the U.S., Public Member. Douglas P. McGovern is an Associate Partner with IBM's Global Business Services. Mr. McGovern works with IC clients to solve their most challenging problems with advanced technology solutions. 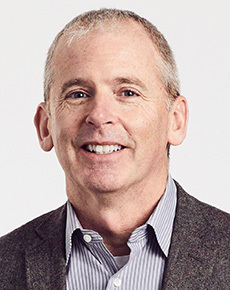 Prior to joining IBM, Mr. McGovern served as Chief Information Officer (CIO) and director of IT Services at the National Geospatial-Intelligence Agency (NGA). There, he led a workforce of over 900 government employees and 3,000 contract personnel in the planning and execution of global IT operations and modernization efforts supporting DoD and the IC. 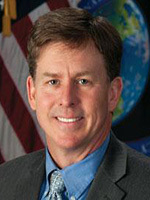 In concert with other agency CIOs, he implemented efforts to enable intelligence integration across the $50 billion IC enterprise by establishing a common IT structure (ICITE). Earlier at NGA, Mr. McGovern was Deputy Chief Operating Officer (D/COO), Deputy Assistant Director for National Intelligence for Information Integration Oversight and Engineering/IC Chief Architect in the Office of the Director of National Intelligence, and commercial imagery program manager. 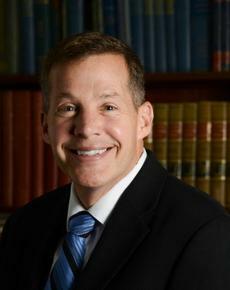 Stephen L. Morris is an Associate Partner with IBM's Global Business Services. He joined IBM in March 2017 after retiring from the Federal Bureau of Investigation (FBI) with more than 28 years of dedicated service. Mr. Morris retired as the Assistant Director of the FBI’s Criminal Justice Information Services (CJIS) Division in West Virginia, where he managed the FBI's largest headquarters division, comprised of more than 2,600 employees, responsible for the operation of several criminal justice information sharing systems supporting more than 18,000 law enforcement agencies nationwide 24 hours a day. 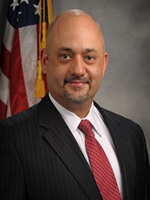 Prior to serving as the Assistant Director at the CJIS Division, Mr. Morris served as Special Agent in Charge of the FBI's Houston Division since 2011. In 2006, he worked at FBI Headquarters and was appointed Chief of the Strategic Information and Operations Center. In this position, he managed the FBI’s 24-hour global command center for strategic information and crisis management. Mark Newsome is an Associate Partner with IBM's Global Business Services. 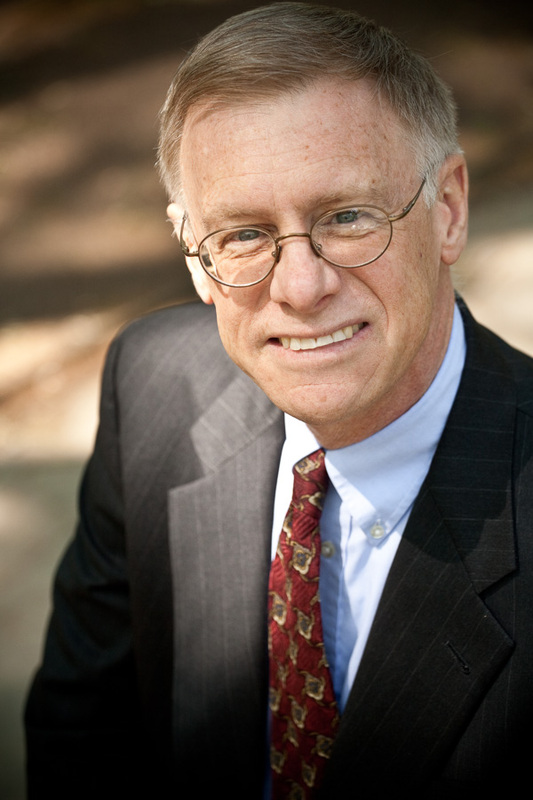 He has an extensive background in health care management, government affairs, and business development. He is a retired Army Medical Service Corps Chief Financial Officer (CFO) with over 25 years of active duty service culminating as Army Medical Congressional Budget Liaison with the Office of the Assistant Secretary of the Army for Financial Management and Comptroller, Pentagon. As the primary point of interface to House and Senate Defense and Military Construction (MILCON) Appropriations Committees, Mark held responsibilities for development and execution of comprehensive legislative strategies for over $12 billion in appropriated funding for Army Health Care, Medical Research, Medical Procurement, Wounded Warrior care, and Medical MILCON. His efforts secured increased funding across all portfolios and doubled funding for the Congressionally Directed Medical Research Program. Affiliations: National Defense Industrial Association (NDIA), American Society of Military Comptrollers; Mark is Chair of NDIA’s Health Affairs Division. His vision is to seed actionable collaboration of military and veteran healthcare systems, academia, and industry which delivers transformative capabilities to those who serve in defense of our nation. Mark is also a member of the American Society of Military Comptrollers. 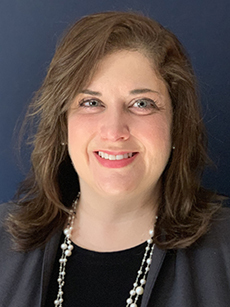 Karin O’Leary is a Senior Managing Consultant with IBM’s Global Business Services, U.S. Federal Team and serves as a subject matter expert in federal budgeting and financial management. She has extensive experience in managing complex organizational change in federal agencies, with over 25 years of government service. Before joining IBM in June 2018, Karin was a career executive in both the Judicial and Executive branches of government. She was the Chief Financial Officer of the Judicial Branch, where she led a team that implemented a single financial and procurement system to over 450 court locations in 3 years and transitioned local disbursing to the U.S. Treasury. Before that, Karin was the Budget Director for the U.S. Department of Justice for nearly 10 years, with responsibility for developing, promoting, and executing a budget exceeding $25 billion per year, as well as departmental strategic planning and performance management. Karin also held senior positions at the Drug Enforcement Administration and the Court Services and Offender Supervision Agency for the District of Columbia, which she helped to establish. Howard Osborne is an Associate Partner with IBM’s Global Business Services, Public Service Digital Business Strategy Practice. He is a retired United States Air Force Lieutenant Colonel with over 20 years of active duty service which culminated with leading the planning and implementation of a Shared Services organization that delivered the largest transformation in Air Force Financial Management history resulting in achieving a savings of 598 authorizations and $210 million. 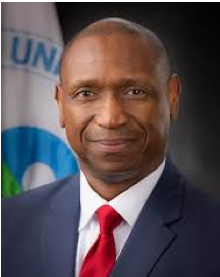 Howard joined IBM in January 2019 after serving in the Senior Executive Service at the Environmental Protection Agency as the Associate Chief Financial Officer. There, he developed an IT governance structure to effectively implement IT modernization strategies, drive operational efficiencies through process improvement, while implementing data strategies to enhance decision-support. Prior to that, Mr. Osborne served as the Comptroller and the Director of Financing Operations at Bureau of the Fiscal Service, Department of the Treasury. During his tenure he developed the strategy and led the operational and integrated technology testing of the new Treasury Floating Rate Notes security. Areas of expertise: Organizational Leadership and Strategy Development, DoD Financial Management and Operations, Federal Financial Management and Operations, Federal Financial Services, Transformation, Shared Services, and IT Modernization. John Pereira is a Partner in IBM's Global Business Services and leads the team providing advanced, end-to-end solutions for our clients in the Intelligence Community (IC). John served 30+ years in CIA, including overseas assignments in East Asia, Central America, Central Eurasia, and Europe. Following his final overseas tour, John helped establish the Directorate of Support (DS), integrating the multiple businesses that support the CIA mission: Security, IT, Logistics, Facilities, Financial and HR Services, Talent Management, and other elements of operational/mission support. John served as the Director of DS for CIA Directors Michael Hayden, Leon Panetta, and David Petraeus. During his tenure, John implemented of a strategy designed to increase the speed, agility and effectiveness of support delivery, while streamlining process and reducing overall cost. Continuity, sustainability, and mission readiness remain key pillars of the CIA’s support program. Jesse Samberg is a Director with IBM's Global Business Services. Jesse comes to IBM after more than 25 years with New York's Metropolitan Transportation Authority (MTA) where he was the Director of their Shared Services initiatives. In this role, he created a new stand-alone shared service center to process all administrative functions, resulting in savings of $25 million annually. Prior to that role he was the Budget Deputy Director for MTA's Budget Office, where he was responsible for managing an annual budget of over $13 billion, as well as representing MTA on the creation of the statewide energy market, the NYISO, and other all-agency strategic initiatives. Jesse’s other senior management roles at the MTA included CFO of the MTA Card Company, a subsidiary of MTA created to launch and support the MTA’s MetroCard fare collection project, and as Deputy Director of Real Estate where he created the first database of the MTA’s extensive property records, some of which went back 150 years. Read his recent blog on co-working. Timothy A. Stitely is a Partner with IBM's Global Business Services. Mr. Stitely is a former member of the government’s Senior Executive Service where he served in various executive positions, culminating as Director of Administrative Operations Service, Program Support Center of the U.S. Department of Health and Human Services (HHS). 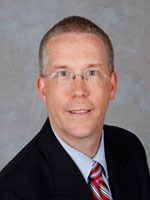 Prior to joining IBM, Tim served in a variety of positions at HHS during a 21 year tenure including Chief Information Officer, Food and Drug Administration (FDA); Director of Office of Information Management, FDA; Director of Information Systems Design and Development, CMS; and Director of Information Technology, National Institute of Child Health and Human Development, National Institutes of Health. Areas of Expertise: US Government Health Agencies especially CMS, FDA, NIH, CDC and HHS. Government Management, scientific computing, and budget creation & justification. Lieutenant General Jeffrey Talley is a Vice President with IBM's Global Business Services and a Global Fellow with the IBM Center for The Business of Government. He has over 35 years of global experiences in large-scale organizational leadership, global geo-politics, data/analytics and technology, and the environment. Lt. Gen. Talley joined IBM in July 2016 as Vice President, Global Public Sector, IBM Global Business Services and as a Global Fellow at the IBM Center for The Business of Government. Prior to IBM, Lt. Gen. Talley was the 32nd Chief of Army Reserve and 7th Commanding General, United States Army Reserve Command, from June 2012 to June 2016. Talley was responsible for leading an organization of approximately 215,000 Soldiers and civilians, 135 general officers and senior executives, 1100 reserve centers and training facilities, six installations, and equipment inventories valued at over $39 billion. Areas of Expertise: Large-scale organizational leadership, global geopolitics, data/analytics and technology, the environment, academia/higher education, public private partnerships, cyber security.